What tactics do hackers use when they can't open their laptop in front of people? They use portable devices as much as possible. But there is a problem with some portable devices which look suspicious to people. Well, We have Smartphones! But it is obvious that we are not going to include the iPhone because it doesn't give so much opportunity to its users. That is why Android is recommendable to convert it to a portable Hacking Machine. Here we are going to list some Android apps in a categorized way so that you don't have to search for different Apps for the same purpose. 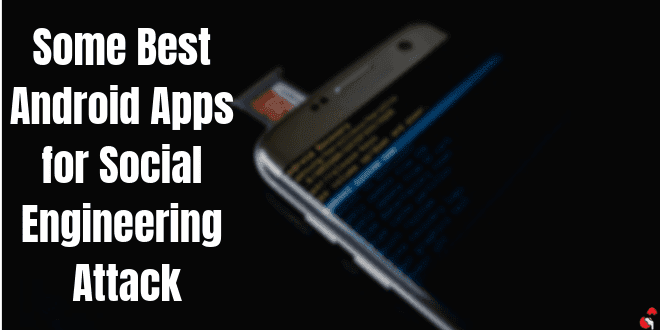 These apps can be used to do the most dangerous hacking method that is Social Engineering. What do you mean by Social Engineering? In the book of Hacking, social engineering is the method of manipulating a person psychologically to perform some specific actions or to collect confidential information. Hackers consider it as the most dangerous way of hacking a person. Because this method is used to hack the human brain, not machines. Let's check out the list! This tool can call two numbers together. You can put two phone numbers in the application and make calls between them. They will suspect each other for the call. They will be confused who made the call. This tool can be used to collect information that is important for you to know by listening to their conversations. This App can be used for both social engineering and information gathering. It depends on how you use it. The specialty of this App is, you can make calls to anyone for free but without showing your original number. The person who picked up your call will see no number or unknown number from other regions. It will be easier for you to call someone asking their confidential information with fake identity without showing your original number. Lablabi is basically an SMS bomber. The benefit of the app is you can send 1000s of messages to any Whatsapp number at one time. You can crash the Whatsapp of that number. You just need to open the Dashboard of the Lablabi and choose the target Whatsapp number and select the number of messages you want to send. If you often get trapped in situations where you have to listen to people or your friends and you can't leave the place, then this app can sort out this problem a little. Using this app you can generate fake call of anyone. You just need to set the timer and the name and number of the fake call if you want and you are ready to go. After the time you've set you will get the fake call and you can leave your friends' conversations showing "Look my father is calling! I have to go." I don't think I need to describe what this app can do but it's my job. This app can be used to change your voice over call. This app is not as ignorable as you are thinking. Maximum of people can be Social Engineered by just the right call. But this depends on your talent how tricky you are. This app can be used to create fake conversations with anyone. You can use this app to trick your friend or for other purposes. Yazzi allows you to create fake conversations of different types of messaging platforms such as Hangouts, Whatsapp, Facebook Messanger, the default SMS app. It is up to you, how you use the app. This app can be used to change the GPS location of your Phone. You can literally teleport your phone to any place you want with just one click. You know being anonymous is how much important if you are in the field of Hacking. With the help of this app, you can listen to anyone's call recording. Wherever your victim is, you will get call records regularly on E-mail or over Wi-Fi. But you need to download the app and install it on the victim's phone. After completing installation open the app and do 'agree' with the terms and conditions of the app. At the next put your E-mail address to where you want the call records to be sent and click on done. Now will get some settings where you can hide the icon or you can enable the 'send call records over Wi-Fi'. 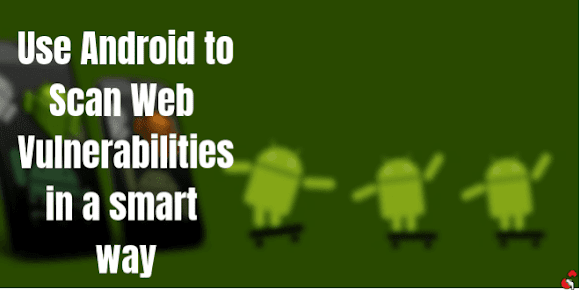 As Android has less restriction than iPhone, it gives so many opportunities to use it their own way. We should take the opportunity. You don't need to buy portable hacking devices. You have an Android in your pocket! Now it depends on you how you can utilize it. Please give your feedback in the comment box to help us make our posts more valuable.